I must admit that when it comes to applying glitter into CND Shellac it's rarely every occurs to me to actually use more than one shade together. It was only when I was watching the fantastic CND Education Ambassador Nataliya Al-ta'ai at The Event 4.0 that it's forced my imagination to incorporate various different types of glitter together including the Lecente Stardust to create new and exciting designs. I actually created the below colour pops for you to look at but before I've even had a chance to post this post, one of my clients chose one of them for her nails so I've included a photo of her nails to get an idea how truly gorgeous some of these combinations are. 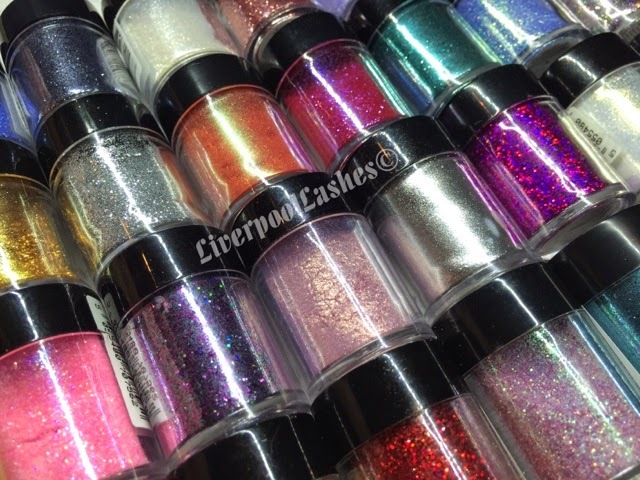 Lecente New York Glitter and Lecente Stardust glitters in Cluster and Starlight. Lecente Ocean Spray Glitter, Rhubarb and Stardust glitter in Milky Way. Lecente Sugar Lips, Rhubarb and Stardust glitter in Cluster. 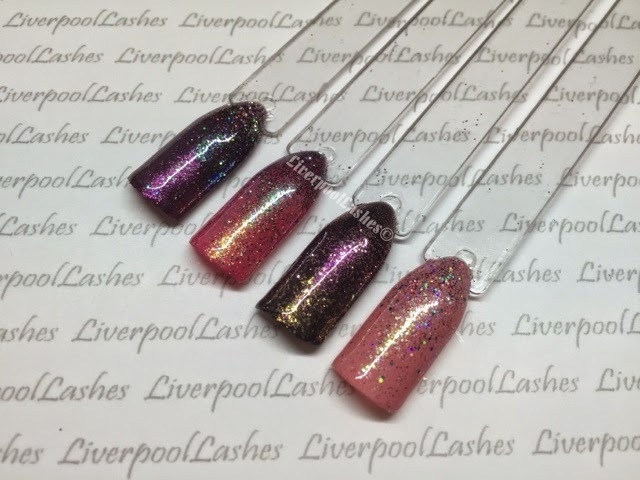 Lecente Goddess glitter, Confetti Pink and Golden White. 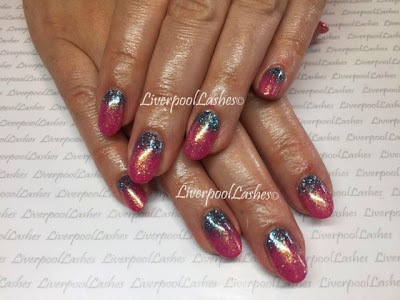 So here's my clients nails from today, she has the combination over CND Shellac in Pink Bikini over her enhancements. They do remind me of strawberries although I thoroughly accept that strawberries are neither pink or glittery!